INDIANAPOLIS — Some time during the fall, right around the midway point of the season, Kansas City Chiefs general manager Brett Veach looked down at his cellphone when he saw a text from his mentor that makes him grin to this day. “You’ve changed the future of the organization with this kid,” Chiefs coach Andy Reid wrote to Veach. 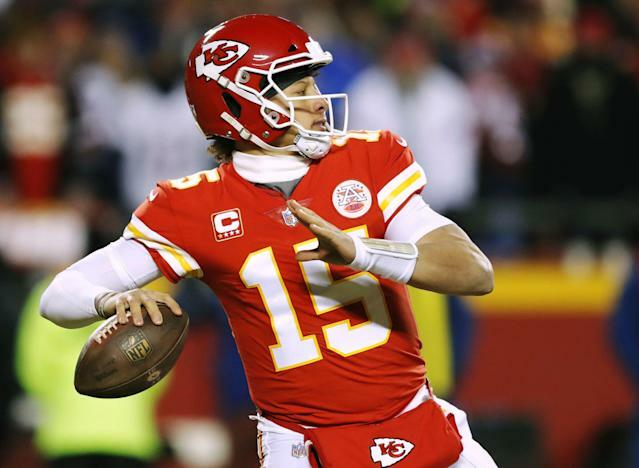 The kid was quarterback Patrick Mahomes, who was in the midst of the best second season by an NFL quarterback in 35 years, one in which he’d go on to lead the Chiefs to a 12-4 record and the AFC championship game. But after all that success — which included being named the league’s MVP at only age 23 – it’s easy to forget that the Chiefs’ decision to move up 17 spots and select the raw-but-talented Mahomes 10th overall in the 2017 draft was viewed as a colossal risk. Mahomes’ playing style in college was largely deemed “reckless” and a quarterback from the “Air Raid” offense had never succeeded in the NFL. Yet, everyone in the front office believed in Mahomes, from then-general manager John Dorsey — who would be fired only two months after orchestrating the draft-day trade — to Veach, who was the co-director of player personnel at the time and is internally regarded as the one who sold Reid and others on Mahomes in the first place. Because of their collective faith, a small city in the middle of the country is now the home to professional football’s single-best asset in Mahomes, a certified magician at the league’s most important position. No wonder many in and around the league spent the week of the NFL scouting combine giving Veach his props. “It’s crazy — all the media I’ve done here has been about Patrick,” Veach told Yahoo Sports with a laugh last week. It’s also little wonder why executives and coaches for quarterback-needy teams are scrambling to, gulp, find a Mahomes of their own in this year’s draft (not in terms of overall talent because, well, no one expects to do that). But when it comes to a quarterback’s ability to make something out of nothing when the original play design breaks down — also known as second-reaction improvisational ability — let’s just say it’s a skill that has never been more valuable in the NFL, even at the expense of other, more classically projectable traits like size or the ability to take snaps under center. Mahomes, of course, is The King of Second-Reaction Plays, which is a boon for the Chiefs because they, like many teams, use an extraordinary amount of spread (three-wide, etc.) personnel that invites defenses to blitz in order to throw off the play’s timing. Problem is, when teams do that to Mahomes, they’re far more liable to see him slip one or three oncoming defenders, reverse his field and deliver a dart to an open receiver than they are to get a sack. This creativity is a big reason the Chiefs finished first in total yards and points in 2018, the highest-scoring season (by all teams) in NFL history. The Chiefs valued that reactionary trait greatly in Mahomes’ evaluation process, figuring that while his innate creativity was God-given, they could teach him the things he didn’t know (like how to spit out long-worded play calls and how to take snaps from under center), even though they used to be draft stock killers. That creative skill, it turns out, is part of what also led the Baltimore Ravens and Buffalo Bills to trade up and draft young, creative quarterbacks of their own in the first round of last year’s NFL draft. 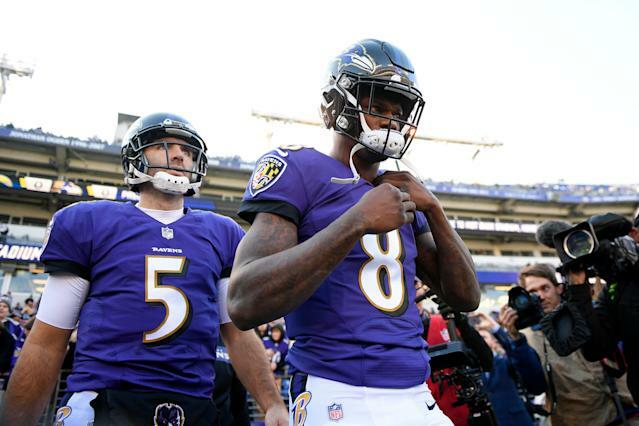 All Lamar Jackson did was score 11 total touchdowns and lead the Ravens to a 6-1 record as a starter, while Josh Allen rescued the Bills from Nathan Peterman Purgatory by racking up 18 total touchdowns in 11 starts and guiding the Bills to five of their six wins in 2018. The accuracy of both players was scrutinized heavily during the lead-up to the draft. But often, it is. And that’s where Cosell says NFL decision-makers — when assessing this year’s draft prospects — will have to decide how much they value that second-reaction ability. And many young draft-eligible quarterbacks are aware of it, too. The moment happened in a flash, but it was indicative of a changing tide. In this year’s Senior Bowl — a collegiate All-Star Game held on Jan. 26 — former Missouri quarterback Drew Lock was rolling to his right and looking to throw when, with a rusher oncoming, he prevented the defender from cutting off his angle by flipping the ball underhanded to his tight end running 8 yards away. “It started with behind-the-back stuff and no-looks in basketball, that’s just who I am, and that’s just who I’m gonna be and the kind of quarterback I am,” Lock, a high school basketball star in Missouri, told Yahoo Sports. It is that type of improvisation, in addition to Lock’s ability to flash second-reaction traits in college, that has repeatedly been praised by NFL types, many of whom increasingly see him as a first-round pick. Tyree Jackson, who starred last season at the University at Buffalo and is considered to be a mid-round pick, hopes NFL teams see that same ability in him after he ripped off a sizzling 4.59 40-yard dash at the combine. Perhaps the best indication of that, Jackson noted, is that while he stands 6-7, this year’s Heisman Trophy winner — Oklahoma’s Kyler Murray — is 5-10. It’s no coincidence that Murray’s best trait is his brilliant improvisational ability, a skill so valued these days that it has helped Veach keep earning kudos around the league and it has placed Murray firmly in the mix to be the draft’s No. 1 pick, despite the fact the NFL hasn’t seen a 5-10 quarterback go in the first round since 1953.